Surplus 1980, the new Moe! 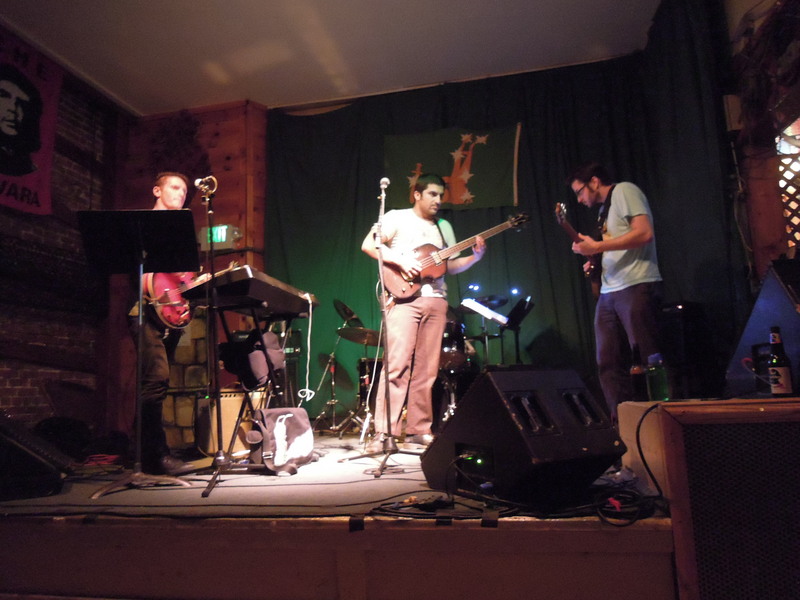 Staiano art/punk band, rocked the house at the Starry Plough Friday night. The band was energetic and tight. 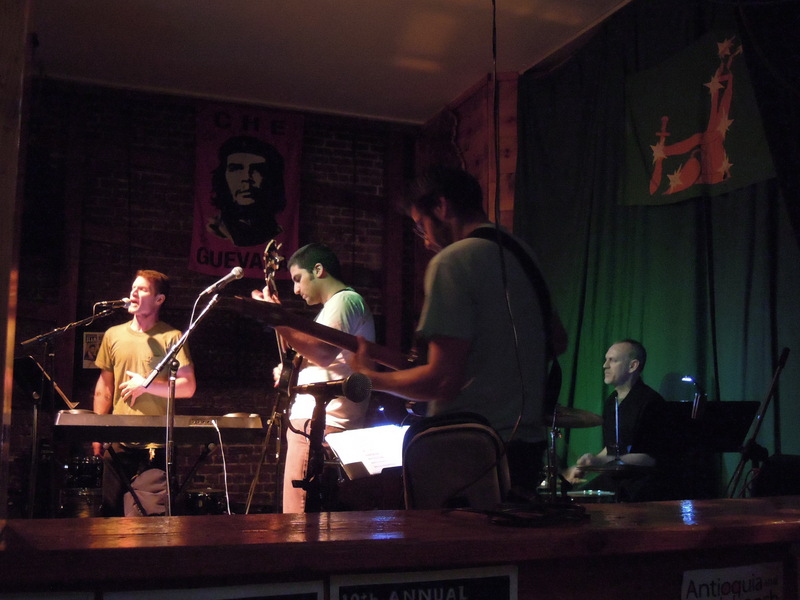 They were a quartet — bass, guitar, drums, and Moe on vocals, keyboards and extra guitar. I arrived mid-set, and through the door, it sounded like a lot more than four people. I haven’t yet listened to the Relapse in Response album, copies of which were available at the show. It’s going to be a different experience, packed with horns and with Moe himself on drums. I’m glad I caught the band in straight rock format, though. They put on a solid show. Moe takes to the guitar. I’m pretty sure that’s Alee Karim on bass. 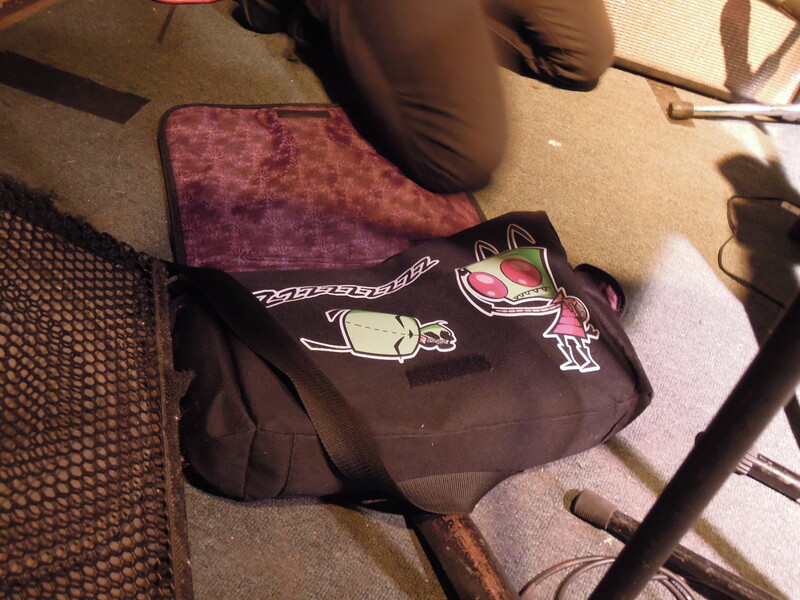 Moe owns an Invader Zim bag. I’m so jealous. I expected White Pee to be noisy and bristling. 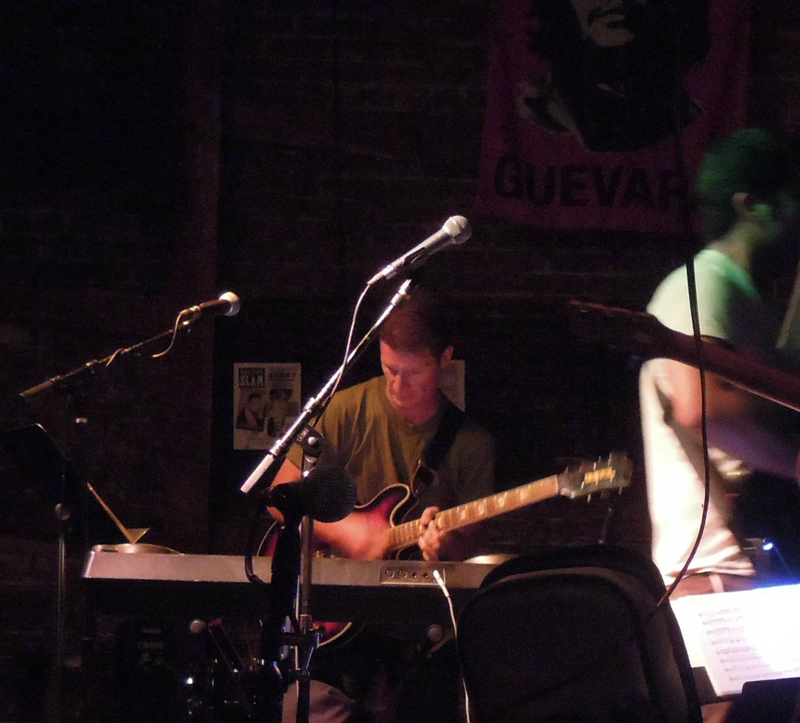 The noise elements were there — guitar feedback, some keyboard/electronics — but the overall vibe was a more easygoing jam, drifting along with the rhythm. 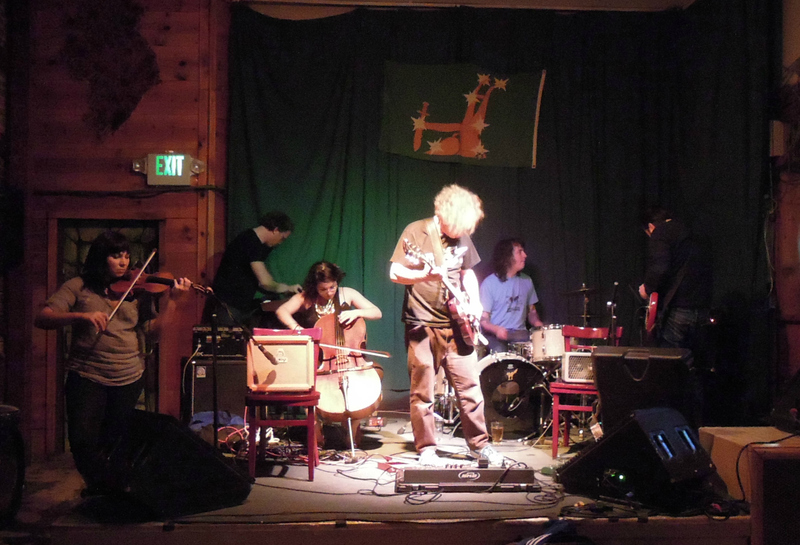 The band’s lineup varies every time, and this edition included a violin and cello, which I gathered was unusual. The strings might have helped define the mood of the show, and their contributions were great, often twirling well outside the determined rhythm and drone-chord to add all kinds of exciting color. They weren’t a jam band and weren’t a noise band — I thought of them as something closer to The Necks but with less looping. White Pee, the sextet version. Dig the cute little amps. I didn’t catch Aram Shelton’s Marches, which opened the evening. My kids had discovered the board game Clue and wanted to play a couple rounds before bed. Much as I enjoy seeing music, sometimes a better offer comes along.